Please join us for a reception and an informative discussion with Ambassador Michael McFaul, former US Ambassador to the Russian Federation, as he shares his views of Putin’s Russia, election interference, US-Russia relations and introduces his new book “From Cold War to Hot Peace.” A firsthand account of his ambassadorship, McFaul provides a unique perspective on one of today’s most contentious and consequential international relationships. USC journalism professor Gabriel Kahn will be our moderator for the evening. The reception is free for members and guests. 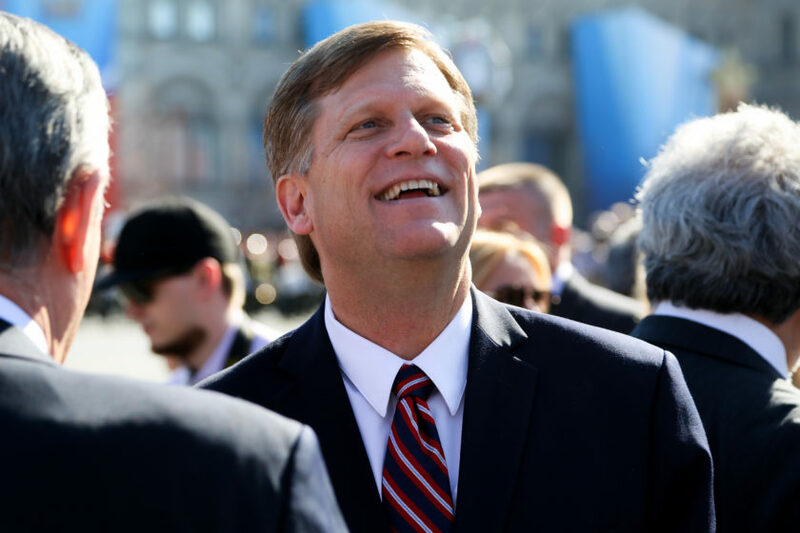 Ambassador McFaul served as the seventh United States ambassador to Russia from 2012-2014 and is one of America’s leading scholars, with unparalleled insight into the Russian Federation and how it functions. Before becoming ambassador, he served for three years as a special assistant to the president and senior director for Russian and Eurasian Affairs at the National Security Council. He is the Peter and Helen Bing Senior Fellow at the Hoover Institution as well as a professor of political science, director and senior fellow at the Freeman Spogli Institute for International Studies at Stanford University also and currently works as a news analyst for NBC. This event is underwritten by Dr. Ina von Ber, CEO Ambassadorial Roundtable.